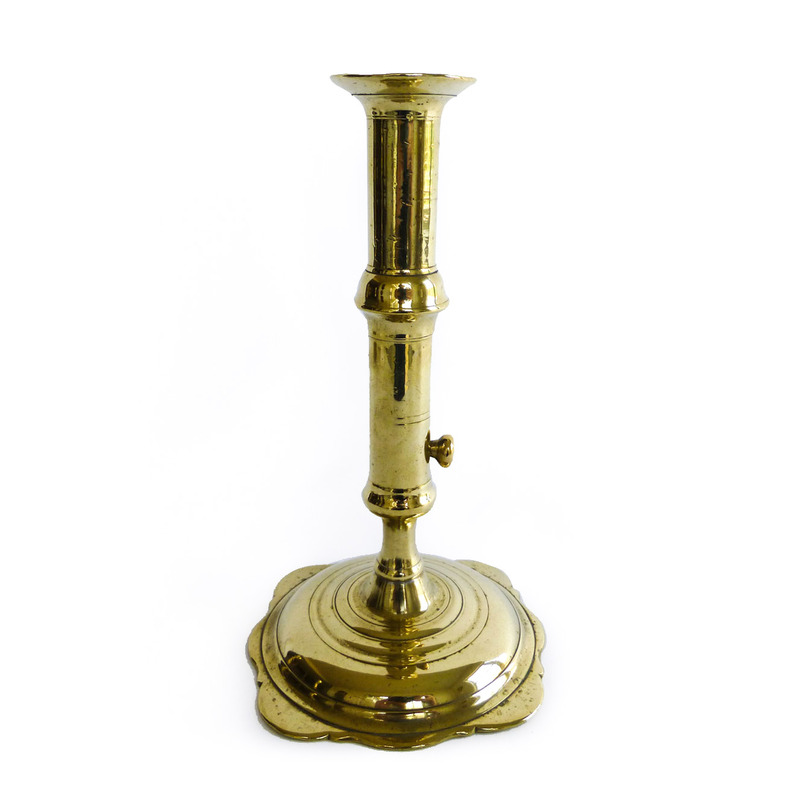 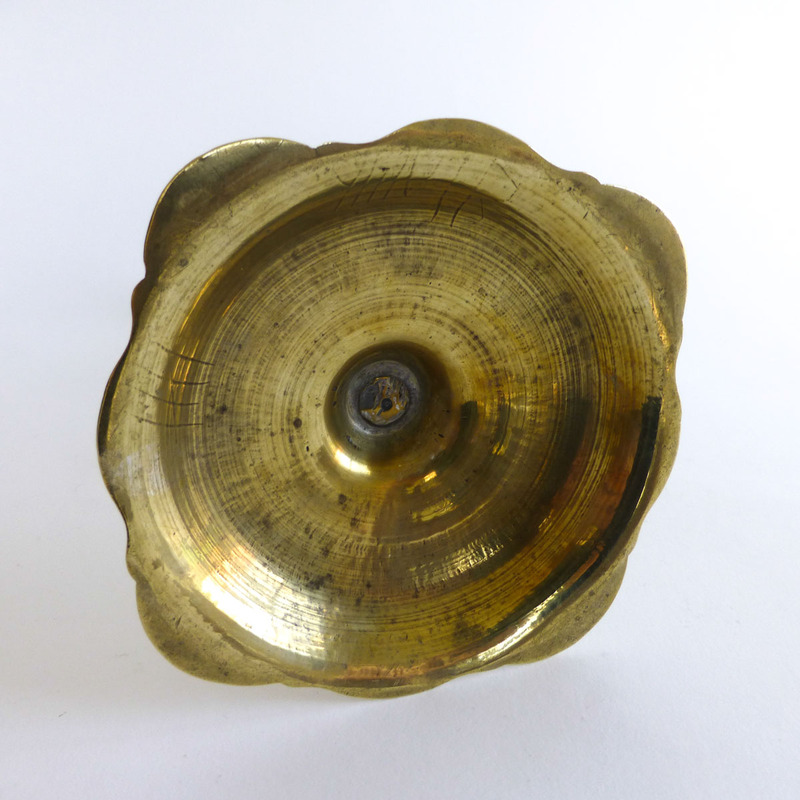 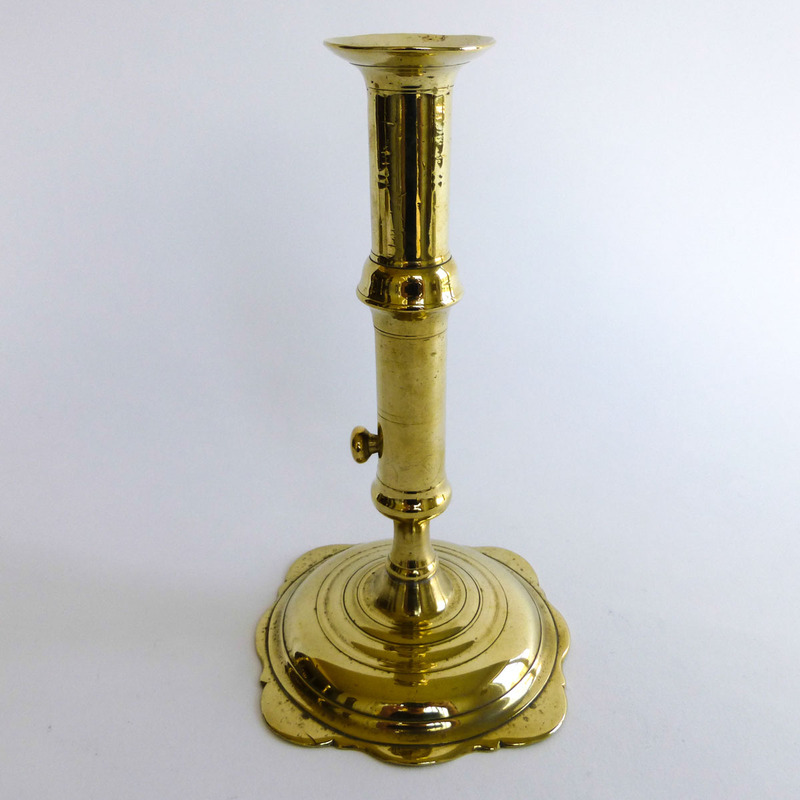 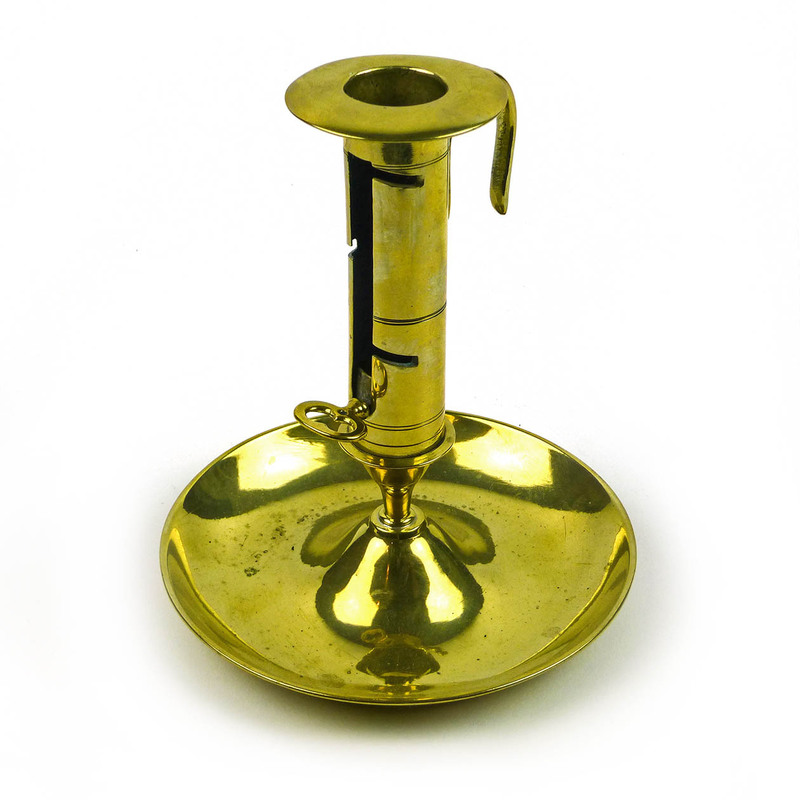 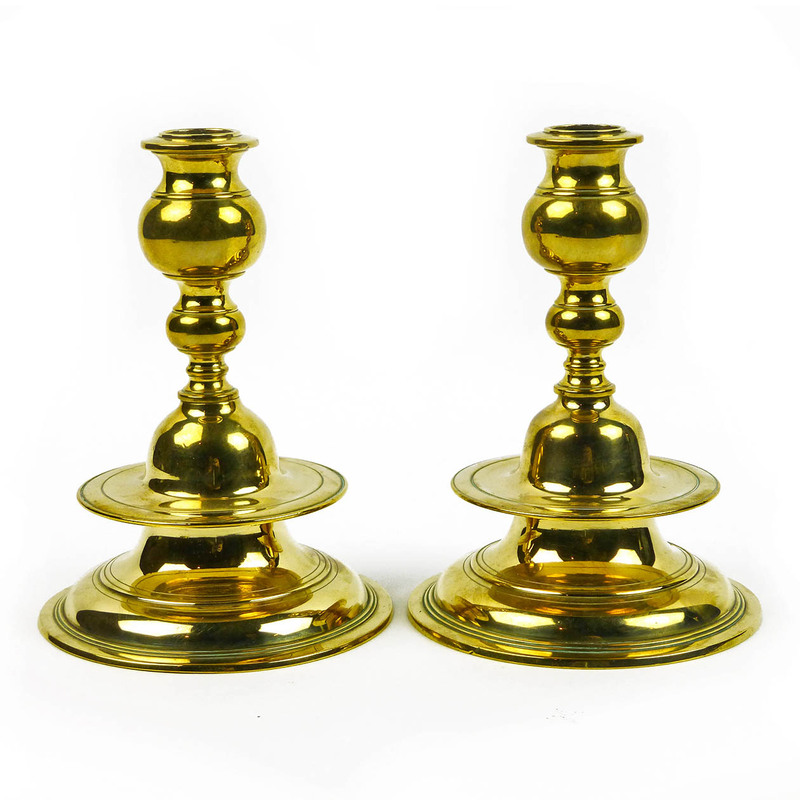 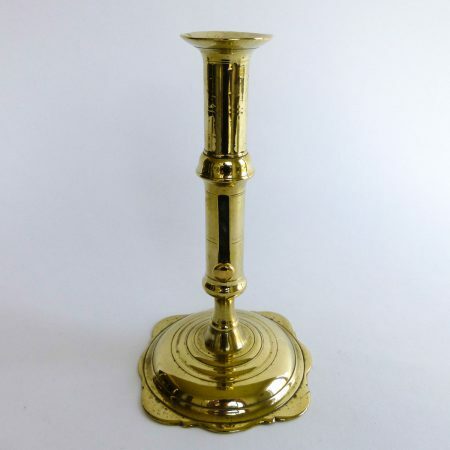 Single English Brass Queen Anne Scalloped Base Side Ejector Candlestick. Not Seamed. 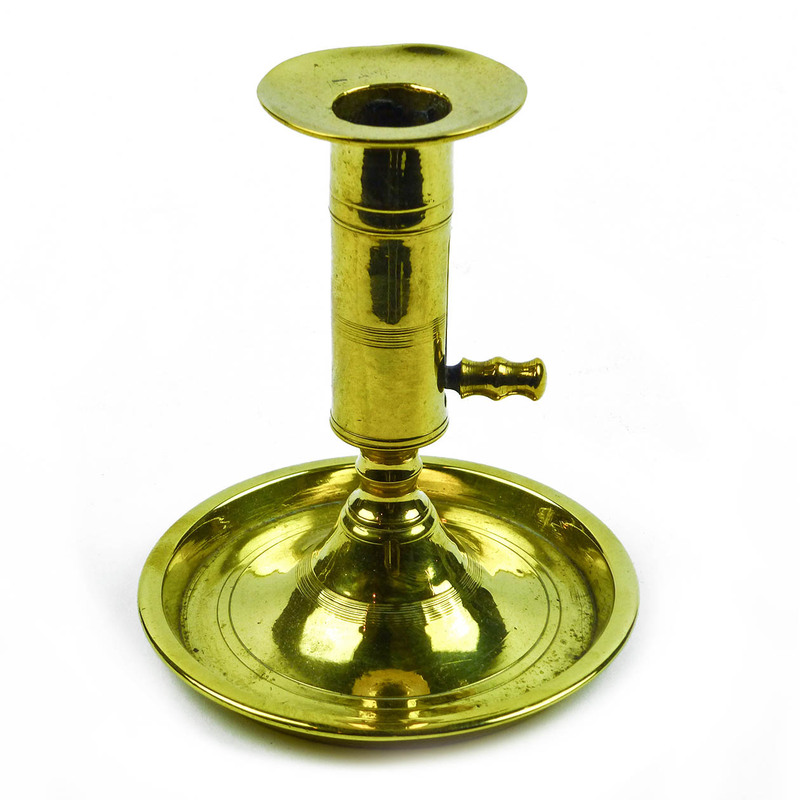 Circa 1740.